We wish you a Merry Christmas and a happy Holiday Season to all! 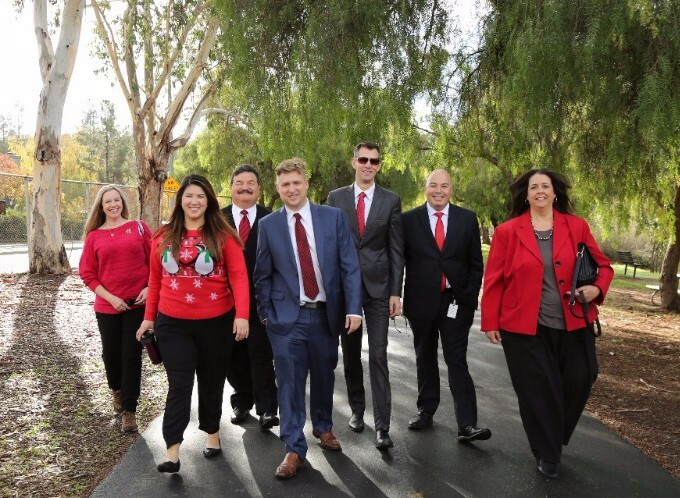 From left to right: Shane Patrick Connolly (Chief of Staff), Michele Dexter, Tim Healy, Dora Gonzalez, Councilmember Johnny Khamis, Denelle Fedor, & Jose Salcido. 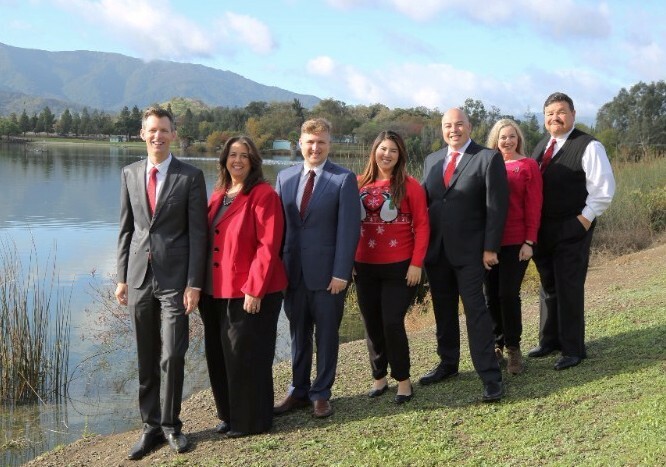 This photo was taken at Almaden Lake Park. 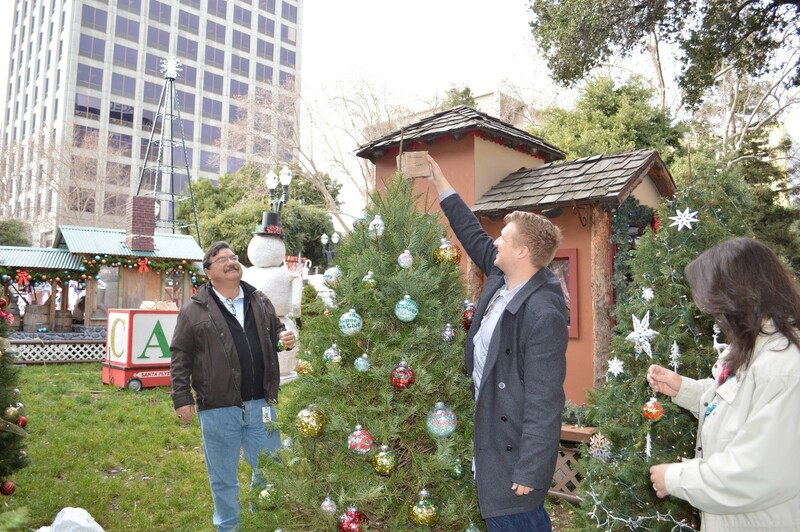 Come to Christmas in the Park and visit our District 10 Tree! Our District 10 team has put together a Christmas tree honoring those whom make our community great! Our tree features ornaments honoring all of our fabulous neighborhood associations, as well as outstanding community leaders, and excellent non-profit organizations. Finally, as the tree topper, it features the landmark Mt. Umunhum Radar Tower! Come on down and see if you can find your neighborhood association! 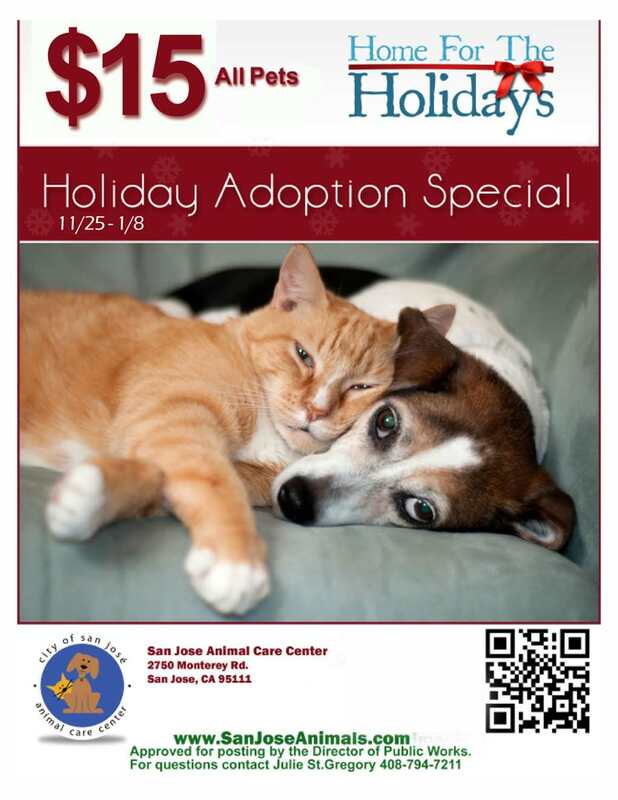 This Holiday Season consider adopting a lifelong friend from our San Jose Animal Care Center! As winter approaches, so does the need for shelter for those in need. If you or someone you know is in need of a place to sleep during the upcoming cold season, HomeFirst Winter Shelters opened on November 28 and will stay open through March 31, 2017 in San Jose, Sunnyvale, and Gilroy. Each shelter has its own restrictions. See the information below for contact information. There are prolonged periods of rain with flooding in low-lying areas. Interested in volunteering and/or donating items during the holiday season? Contact HomeFirst at donategoods@homefirstscc.org or any of the shelters listed below.